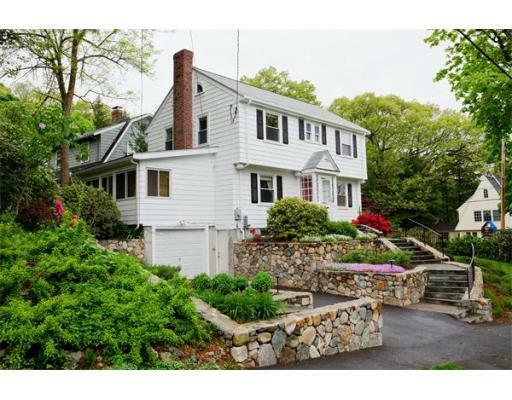 Cabot School: Beautifully maintained Colonial style home in choice residential neighborhood. 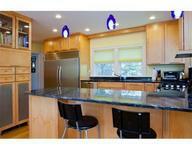 2006 Kitchen Renovation with Granite Counters, Maple cabinets, stainless steel appliances. Many recent improvements include: Replacement windows, 2005 Heating System, Updated Electrical, newer roof, interior and exterior paint. Lots of natural light. 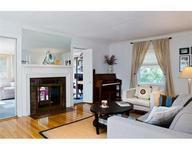 Lovely terraced gardens with attractive plantings, stonework, and gravel path lead to finely landscaped yard. 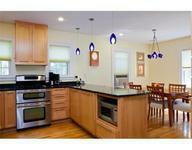 Access to Newtonville shops, Commuter Rail.